Heat oven to 375°F. Make and bake drop cookies as directed on pouch. Cool completely, about 30 minutes. 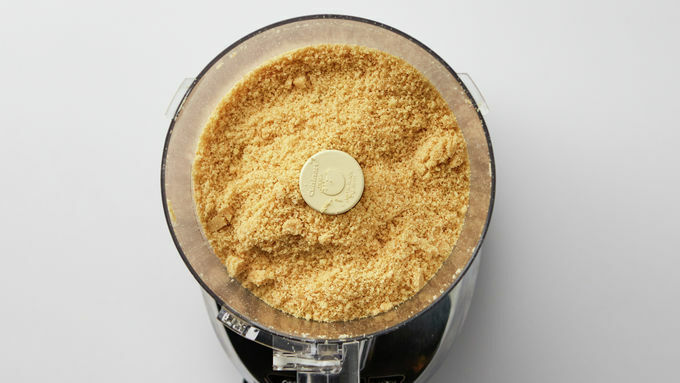 In food processor, process half of the cookies to coarse crumbs. Remove to medium bowl. Continue to process remaining cookies to coarse crumbs; add to bowl. Stir in melted butter until well blended. In ungreased 13x9-inch (3-quart) glass baking dish, press cookie crumb mixture firmly in bottom. Set aside. 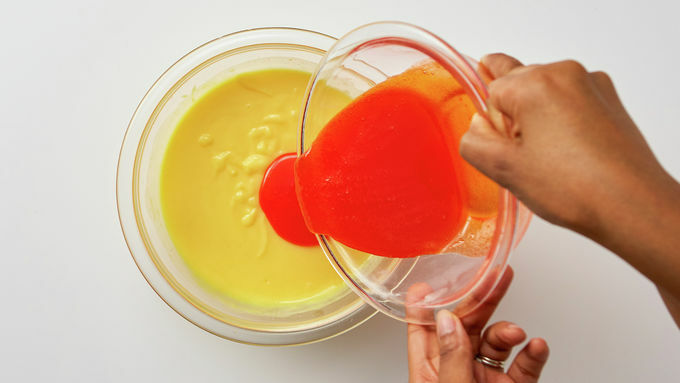 In small bowl, place gelatin, and add boiling water; beat with whisk until blended. Stir occasionally about 2 minutes or until mostly dissolved. In medium bowl, beat dry pudding mixes and milk with whisk about 2 minutes or until thick. Stir in dissolved gelatin. Let stand 5 minutes, stirring occasionally. In large bowl, beat cream cheese and powdered sugar with electric mixer on medium speed until smooth, scraping down side of bowl frequently. Beat in 2 cups of the whipped topping. 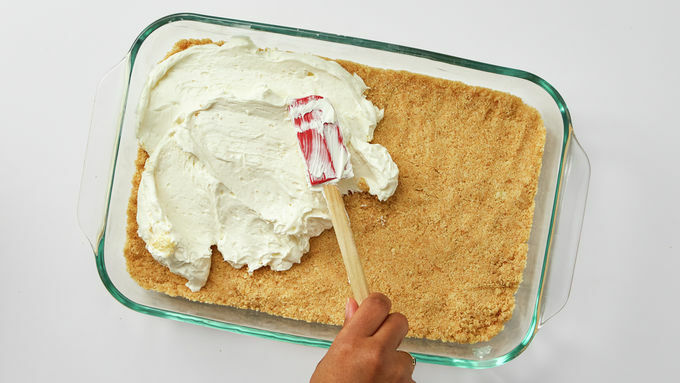 Spread over cookie crust. Pour pudding mixture over cream cheese layer; spread evenly over top. Drop remaining whipped topping by spoonfuls over pudding layer; carefully spread until even. Refrigerate 5 hours. When ready to serve, sprinkle orange segments on top. Cut into 6 rows by 3 rows. Cover and refrigerate any remaining pieces. 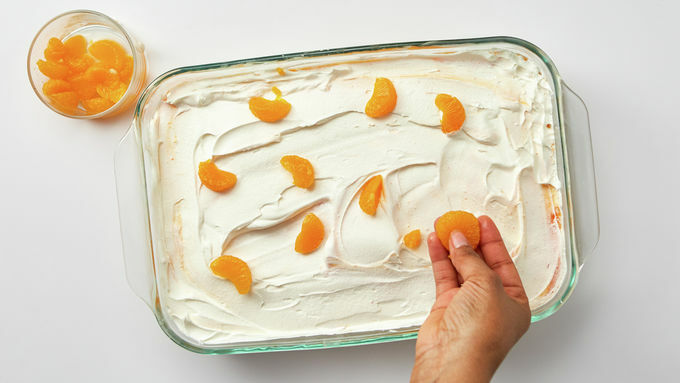 Be sure to drain mandarin orange segments well before placing on top of whipped topping. 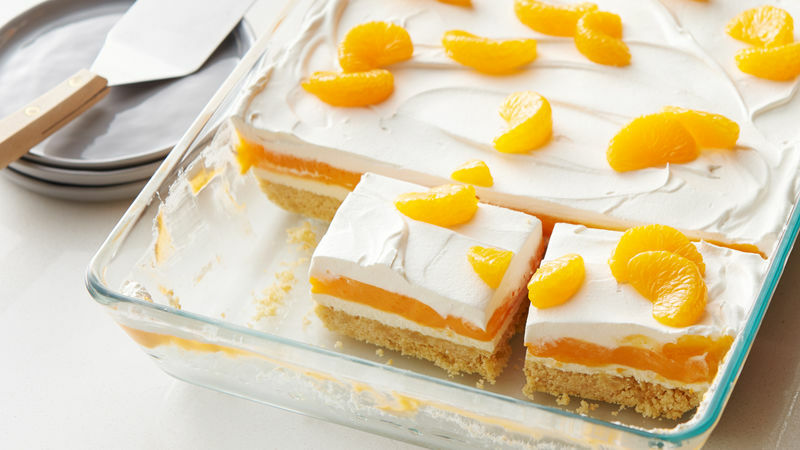 Using a glass baking dish makes a pretty presentation with this dessert; a metal 13x9-inch pan will also work. 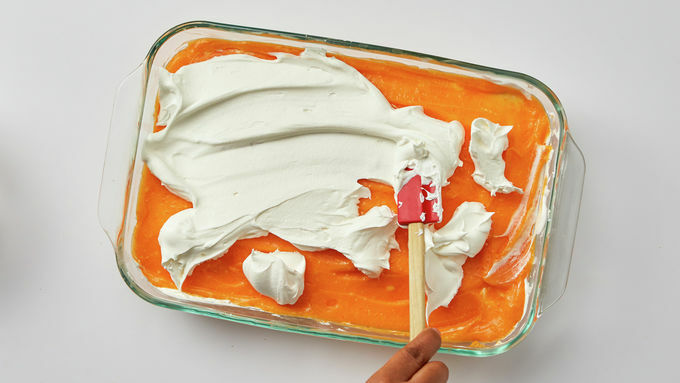 Be sure to dollop mixtures on top of layers—it's easier to spread than spooning mixture in center and spreading. Mandarin oranges can be juicy, so be sure to drain well before garnishing.